Blog (aktuelle Beiträge) – Hilfe für Nyeri e.V. 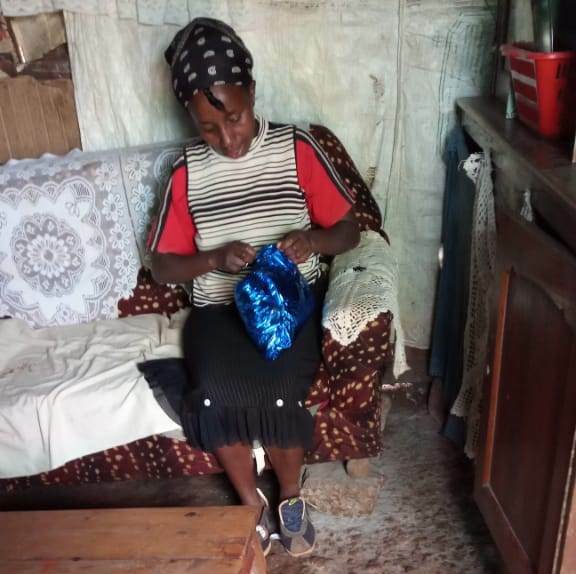 Fridah took long to get a bigger flat because she wanted to get a house that was just near her neighborhood as she still wanted to maintain her customers, so there was a flat that was still under construction just nearby so she waited until it was done and she moved in last week. 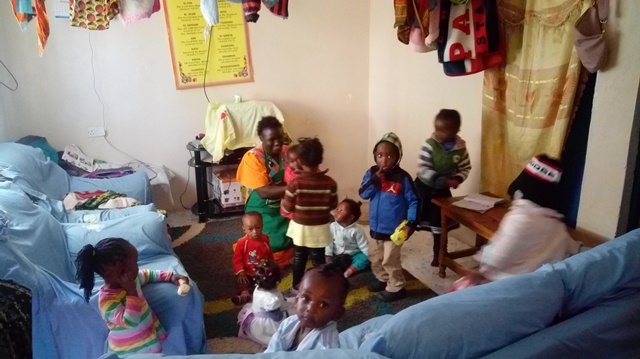 It is a two bedroom house which is very spacious and now she has taken in more kids and they fit in just perfectly. 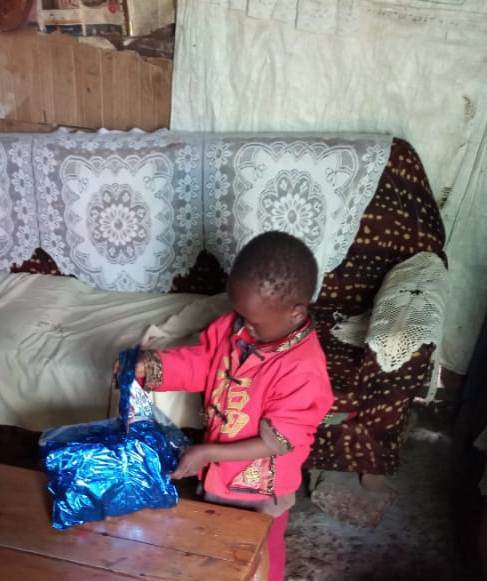 On Sunday (03.03.2019) there was an event at the You.Rep home where by people were invited to come visit the kids, play with them and also bring donations. The number of people who came was not high but it was a great day for us because we got a chance to play some games with the kids, talked to them and encouraged them to work hard in their education The kids also recited a poem for us and it was great then later those who had brought something for the kids got a chance to present the donations to them and they were really happy as there were those like me who brought foodstuff, others brought clothes and others brought some goodies. Am done with Christmas shopping. Thank you so much for your support. 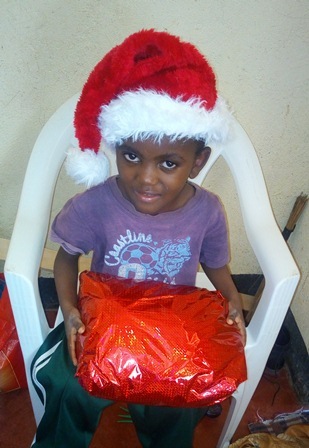 We wish you and the HFN donors a Merry Christmas and a Happy New year. 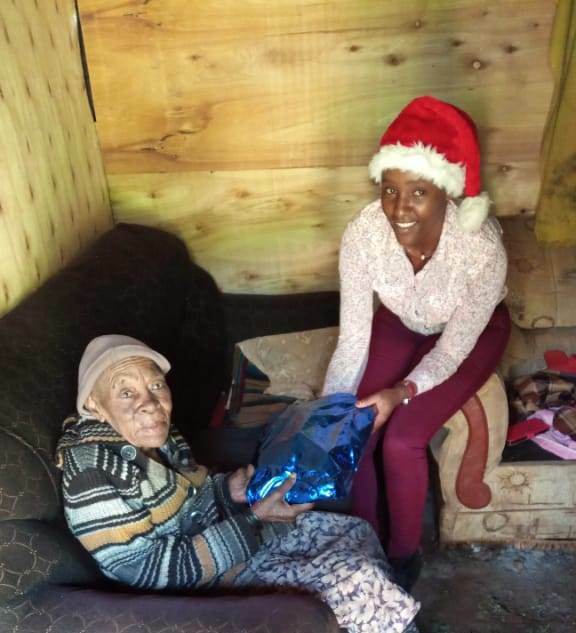 I did Christmas shopping for Mary Wairimu’s family then delivered them to their home, but one of her grandson was not around so i left his gift with her. She will give him when he comes back. They were happy and they send their regards to you. Kevin and I went for his Christmas shopping at the market and i took some photos. 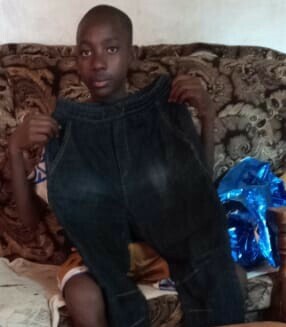 We also did his mother’s shopping together then later delivered it to her. Maryann couldn’t try her new clothes on as she still has plasters on her legs so it was a bit complicated. She is still taking her calcium medicine and she told me that in January she has a doctor’s appointment because her broken legs are taking long heal so she wants the doctor to advice her on more options which will help her heal fast so that she can go back to work. 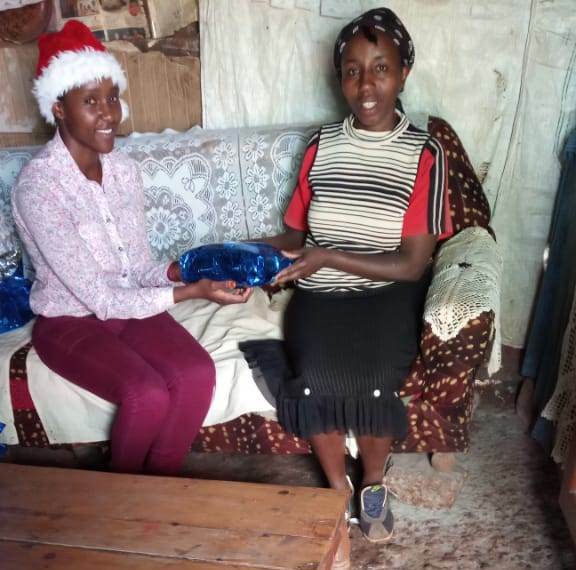 I also did Christmas for Editta’s family but couldn’t deliver the gifts to them as they went to visit their grandparents so i will give them their gifts when they come back. I am doing great and still busy doing Christmas shopping for everyone we support. 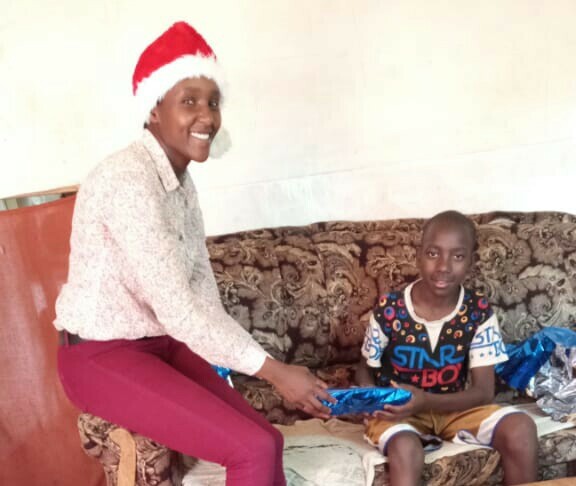 The Hope and Home Children’s home owner has been diabetic for many years and now as she grows older she wants to take it easy and take care of herself and for that reason the hope and home children’s home is under new management. The new owner wants to operate the school part only and do away with the Home, so now she is busy taking the kids to other children’s home. 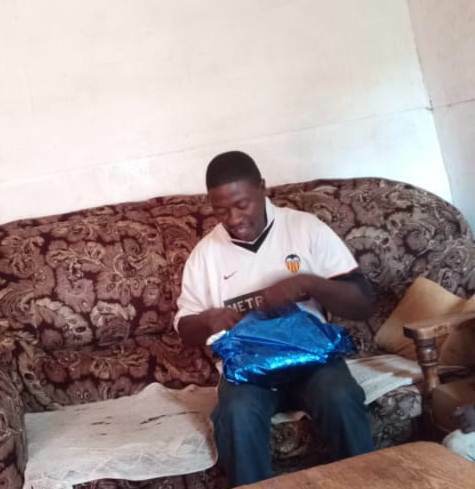 There is a certain donor who has an organization called YOU.RE.P and he had several kids he was fully supporting at the hope and home so he decided to rent out a place where the kids he supports are currently. I talked to the lady he has employed to take care of the kids and she told me the new place they rented out is quite big they only have nine children and they would love to absorb in more kids and that’s where I asked if Mark and Sharon could move in to the YOU.RE.P home and she told me she first has to talk to her boss first and she will give me the feedback. 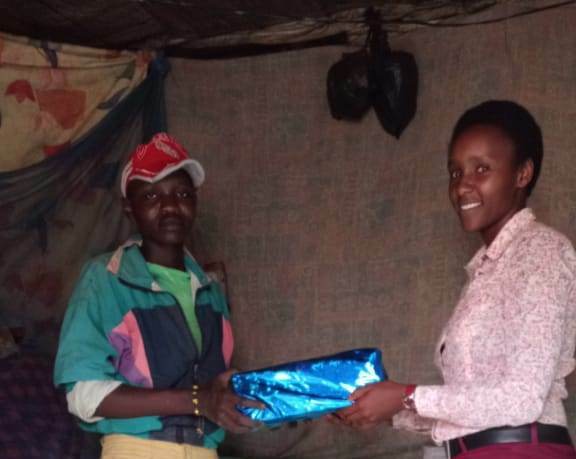 Fortunately her boss agreed to offer accommodation and food to Sharon and Mark then HFN will take care of their other needs like monthly shopping, school fees and clothes. 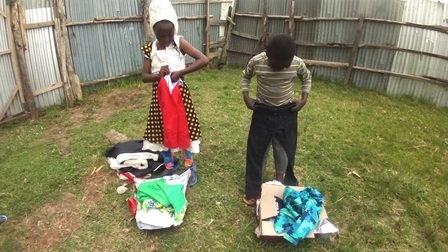 Sharon and Mark will start attending a new public school in January, so after am done with the Christmas shopping I will buy them new school uniforms. The barber shop is eventually done. It took longer because George was away. He does constructions jobs from time to time and when he was away Dennis was the one operating the shop and also took care of their grandmother. The shop is doing well so far. I was talking to them and they told me that starting something usually seem hard but the moment you make the first step then it’s going to be easy to work hard and let it grow so George and Dennis are really determined to work hard and smart to grow both their businesses . They are really grateful for making their dreams come true. Yesterday (17.11.2018) Martin was unwell and we took to the hospital the doctor run some tests in him and he said that he has Pneumonia, he underweight and his immune system is very low. The doctor suspects that Martin has never been immunized even once when he was a baby and that contributes greatly to his low immune system. The doctor said Martin has to be put on a special diet and also needs to eat more fruits to boost his immune system. 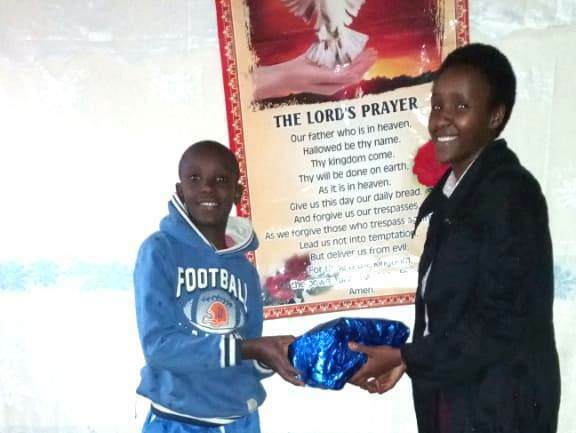 He was also given some pneumonia medicine. Is it okay if HFN takes care of buying Martin the fruits? 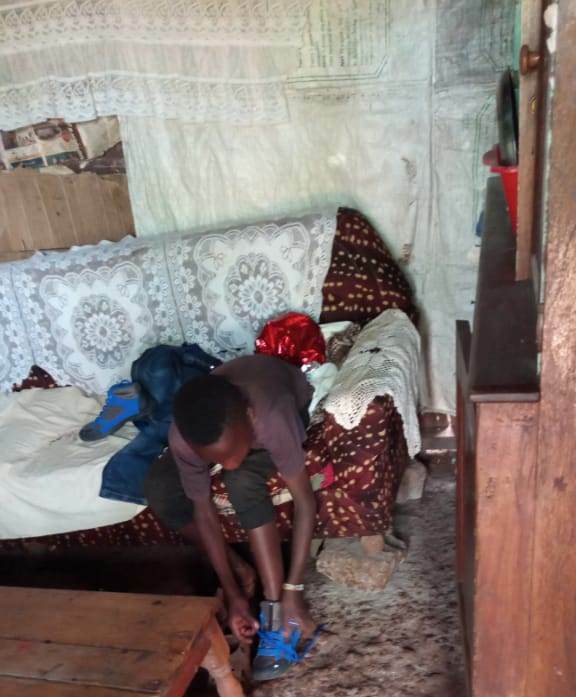 Fridah and I will take him to the General Hospital and explain Martin’s story to them and see if they will agree to give him the injections. 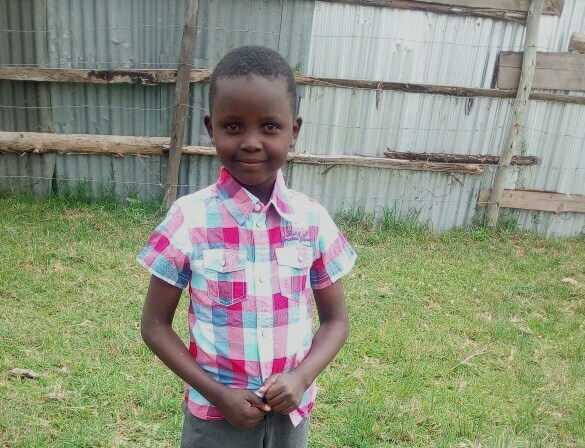 Fridah is in the legal process of adopting Martin so that she can be able to add him in her National Insurance card so that he can also be covered that way we will not be paying cash upfront whenever we take him to the hospital we will just be using the card. Fridah is the lady who took Martin in. She is a teacher by profession but at the moment she is unemployed, it’s been quite difficult for her to get a job. She decided to employ herself by starting a day care programme in her small house. 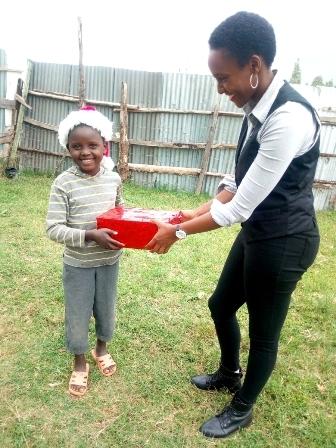 Parents who have small children in her neighborhood and are working and have no one to leave their children with, take them to Fridah’s house in the morning and pick them in the evening. It’s more of babysitting for Fridah. She has a passion for kids and so it’s usually easy for her to take care of people’s kids while they are at work at a fee. That way she is able to cater for her own children’s needs. 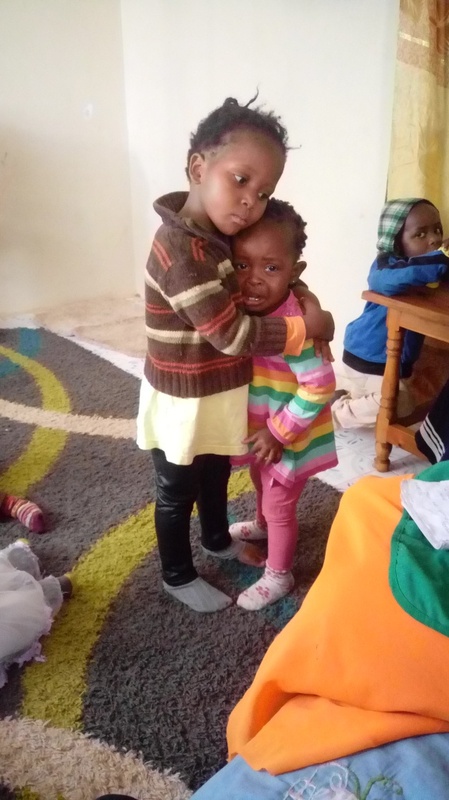 At the moment her day care programme has just a few kids because her house is too small to accommodate more kids. 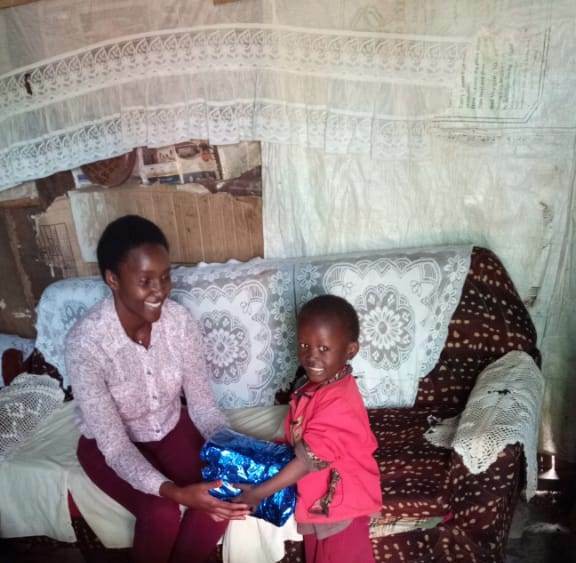 I had a chat with her and she told me that she would love to move to a bigger house where she can be able to absorb more kids in her day care programme and also Martin together with her own kids can get to have their own bedroom. She requested if we could be helping her pay part of the rent when she moves in to a bigger house. 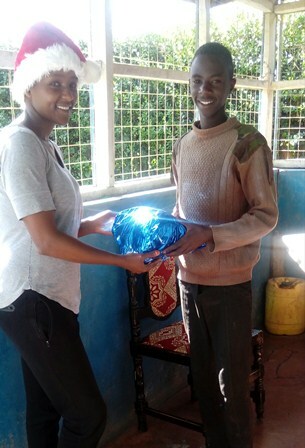 Frank’s visit went well and we managed to visit all the families including the Karatina Children’s home. When we got there the home mother was not around so we waited for her for a few minutes then she came and found us in the office.She was overly nice to us .We even took a cup of tea together then she offered to take us to the school to visit the kids. It was around lunch time so the twins had come for lunch so we got a chance to interact with them at the home, later we went to the school to see the other four kids. 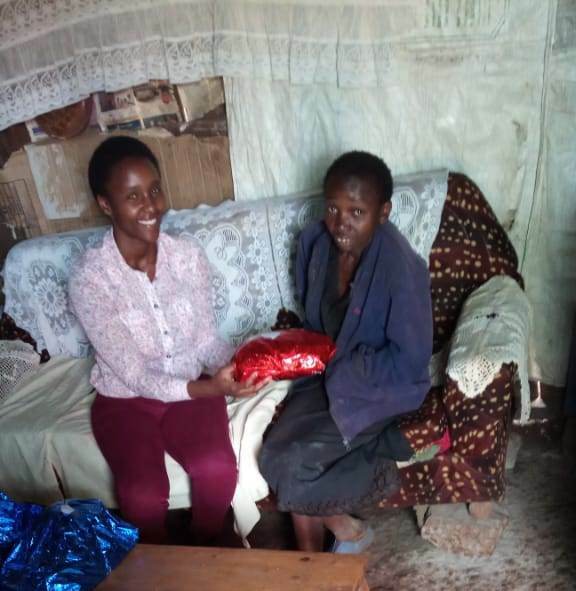 The home mother had to first ask for permission from the headteacher then we were allowed to see the kids.They were very happy to see us.later we took photos and left for nyeri. 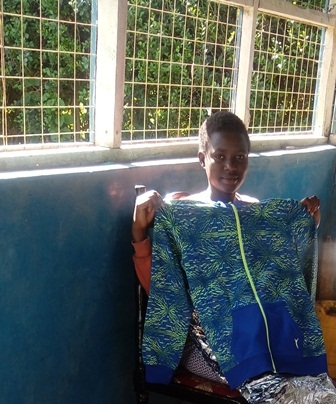 The first family we visited was Kagori’s family which was the very first family to be absorbed by HFN. Initially it was a complete family of a very old man married to a younger woman and they had seven kids together whom he was not able to take care of. Kagori died years ago and then much later his wife got married again and left her kids behind. So his first born son has been taking care of his siblings until another german organization took the children in and started supporting them. So that’s where the people from the german home took me to the police because of visiting the kids in the school and taking photos. They claimed that they do alot for the kids than us and also he said that there were people out there who take photos of the kids then use them to get funds from abroad so he just wanted to clarify that we are not among them. 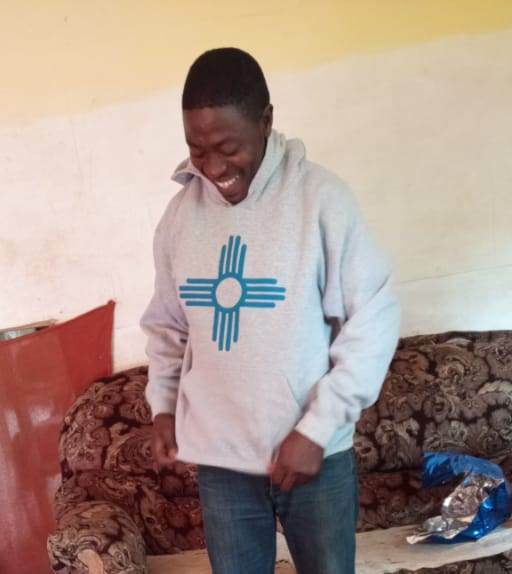 Eventually Frank clarified everything to him and he asked us to stop our little support to the kagori family because they can fully support them now. 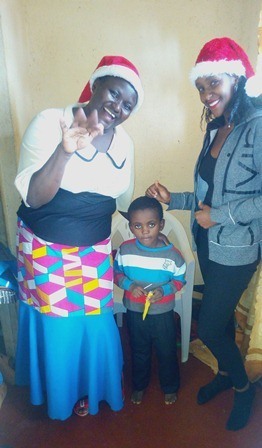 Next we visited catherine wanjiru’s family. 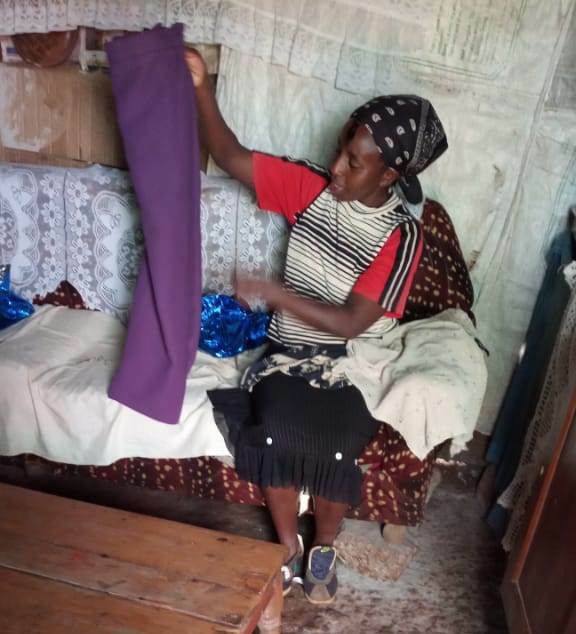 We met her in town where her kids go to school.We took photos and she was very thankful for the business we opened for her She is still hawking second hand clothes in town. 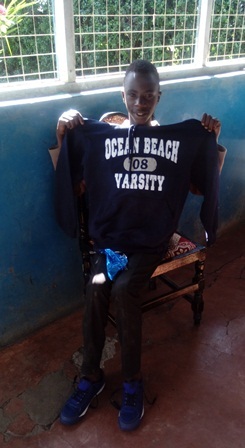 We proceeded to Wandia’s house and Frank remembered her face.He had seen her on our website with chicken. 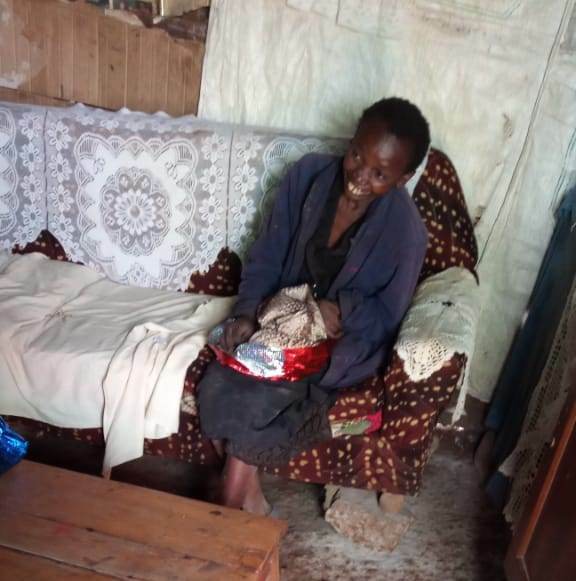 She recently moved to a new house because the place she lived before was not so nice and she struggled to move around with her wheelchair especially when it rains and it gets so maddy.she also sold the chicken because the landlord in the new house doesn’t allow tenants to rear chicken in the compound.Frank asked her if she would love to start another business and she said yes.. She said she would love to start selling charcoal by the roadside and he was so kind he gave her 2000 shillings to start off the business. The next family we visited was Maryann and Kevin. They were happy to have us in their home. They gave us food so basically that’s where we had our supper. 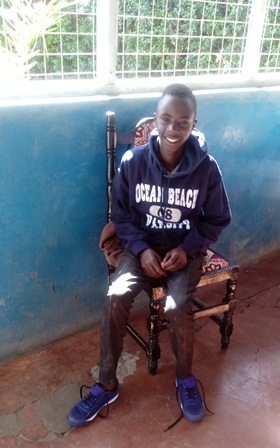 Maryann’s legs are getting better by the day . 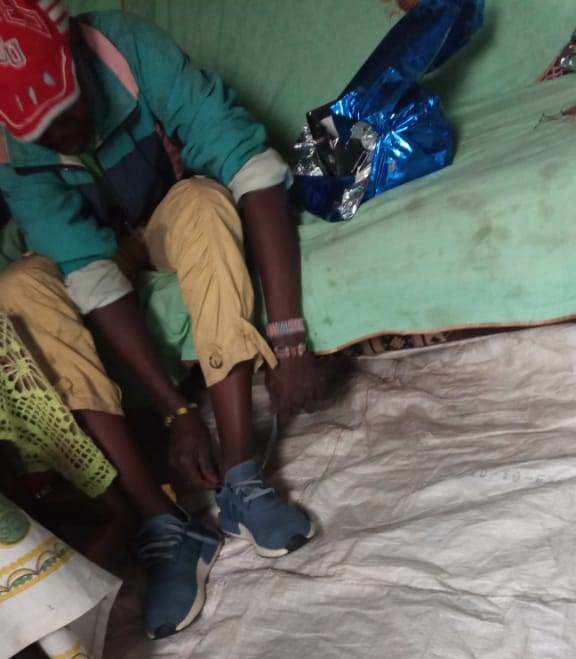 After visiting Maryann and kevin we had to take a rest because it was already too late and we remained with two more families in nyeri and we decided to visit them the next morning before proceeding to Nanyuki. 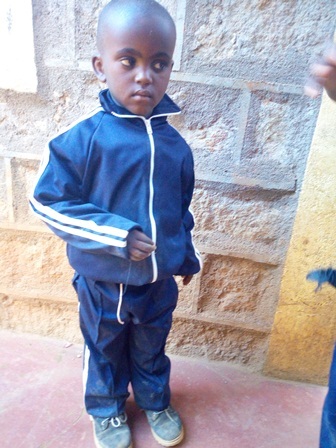 On wedenesday morning we went to Wanja migwi’s family. She was very happy to see us.She was even spitting on us as a sign of blessing us for all the help she has been getting for all those years. She welcomed us and she offered us tea. Then she started singing and dancing as a sign of happiness. 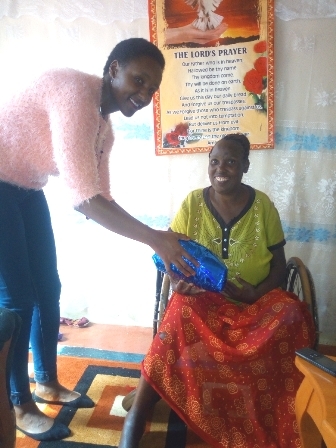 Initially when we took her in she was taking care of her three grandchildren who were left behind by her two children who died of HIV. 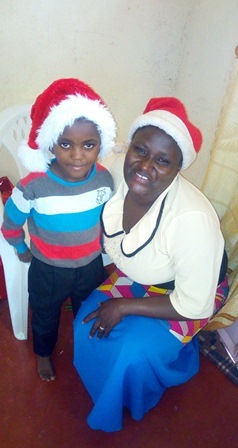 Now the grandchildren live in Nairobi with other relatives because Wanja is now too old to take care of them. 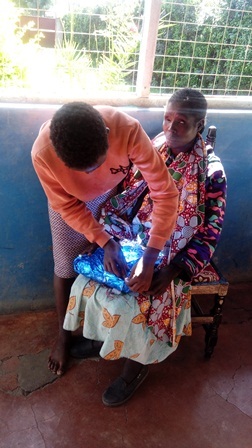 Frank suggested that maybe we could get her eye glasses since she cannot see properly due to her old age. 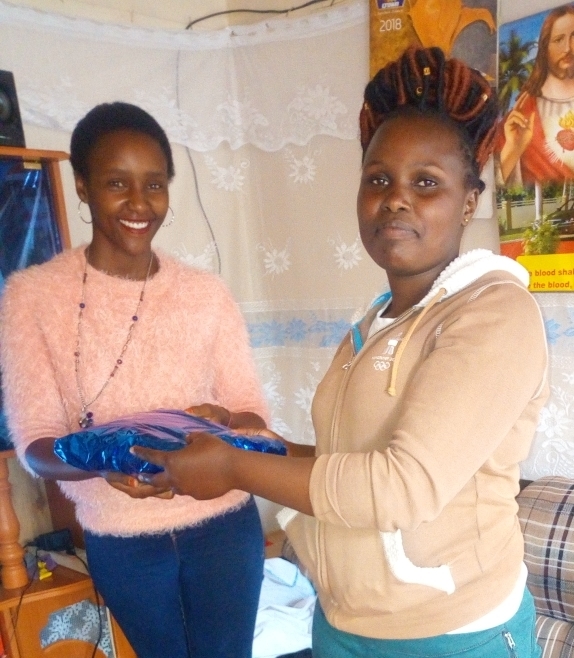 Next we went to Mary Wairimu’s home who is a beneficiary of our sustainability projects. 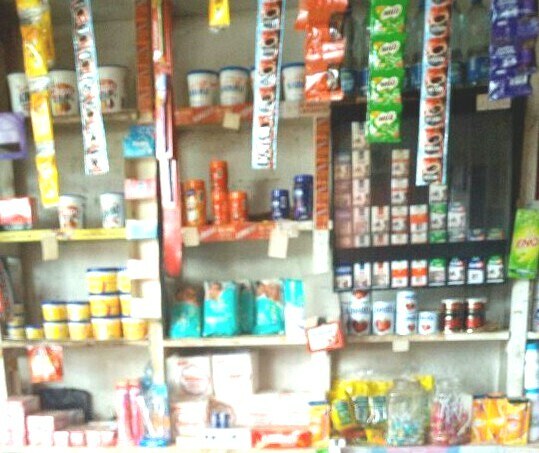 Her shop is still running and her grandsons are operating it. It was very cold and we found her still in bed. Frank suggested that maybe we could get her some gloves and nice pillows. 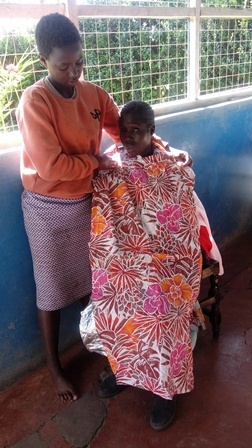 One of her grandsons was around operating the shop and he would also love to set up a barber shop just next to the shop as an addition to their source. They also have a cow whose milk they sell at the shop. We took photos and left. It took us one hour to get to Nanyuki. 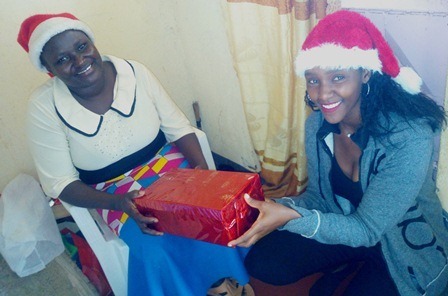 The first family we visited was Esther Nanyiro’s, who is blind. She welcomed us and she was in the company of her daughter who is married. We didn’t stay for long we left and went to the school where her two sons go to. The headmistress allowed us to see them and to talk to them.Then took photos and left. 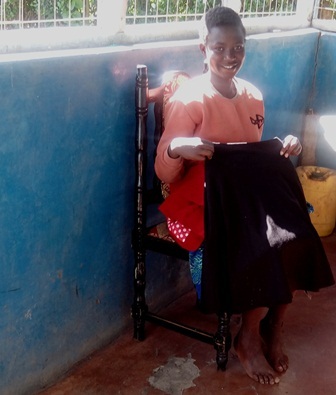 Next we met Editta who is a single mother of four daughters but two are married. Now she is left with two to take care of but we only got to see one in school. We didn’t get to see the other one because her school head teacher denied me permission to take Frank and Lucky to the school. 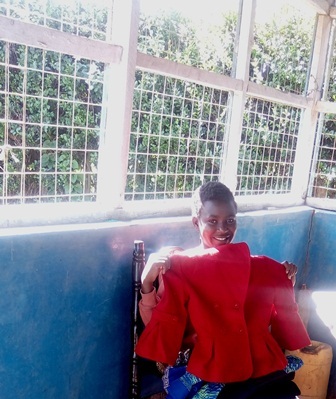 Initially Editta was employed as a house help but now she is jobless and would love to start a chicken project. 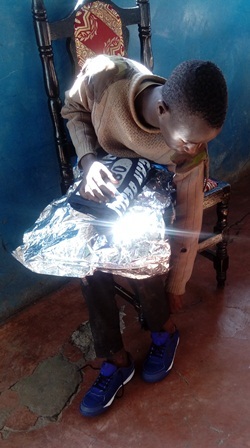 We later went to hope and home.The home mother was not around she was away in Nairobi for treatment. She’s been sick for a while now, so we talked to the person in charge and he allowed us to see sharon and mark. They were happy to see us. He took us to see where sharon and mark sleep then we took photos together. Frank gave the guy in charge some money for sharon and mark to buy them something nice. Next we went to Martin’s school. Talked to the headmistress then she took us to Martin’s class where we met martin and his teacher. She showed us Martin’s books just to see how much he has greatly improved. We took photos then later we left. We went to town and had lunch together. It was really nice to spend time with Frank and Lucky and also to take them through our projects. They are so kind. 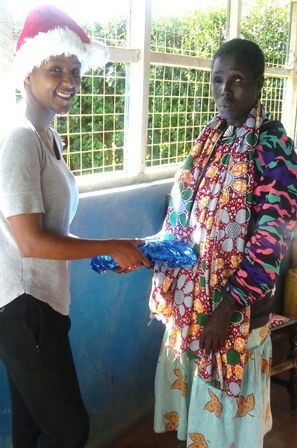 I was really happy to have one of the HFN donors visiting us. Thank you so much. On Wednesday (25.06.2018) I made some calls to do a follow up on Martin and was lucky to get a lead on him. He was taken in by a former teacher of the hope and home. 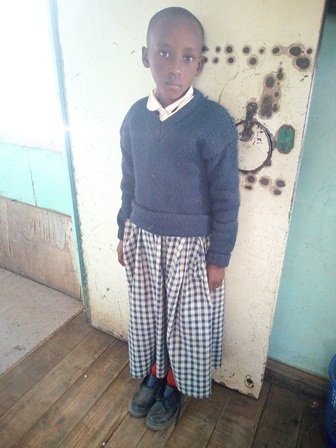 She took her to a school called Mt.Kenya which has a special class for kids with special needs like Martin. I went to the school on Thursday and got the chance to talk to Martin’s teacher and she told me that he has greatly improved in his speech and I can attest to that because when she took me to his class I found him talking to his classmates. I also talked to him and he talked back at me. If I compare from the very first time I met him and now, I would say that he has greatly improved. He can even look someone in the eye and say something. 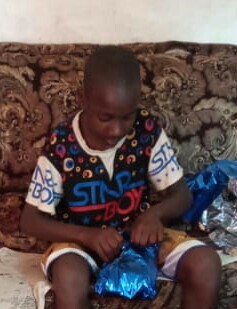 I talked to Martin’s teacher together with the lady who took him in and they told me that we could pay his school fees balance and buy him uniforms because the ones he had on were borrowed and old, so yesterday I paid martin’s school fees balance and bought him uniforms. 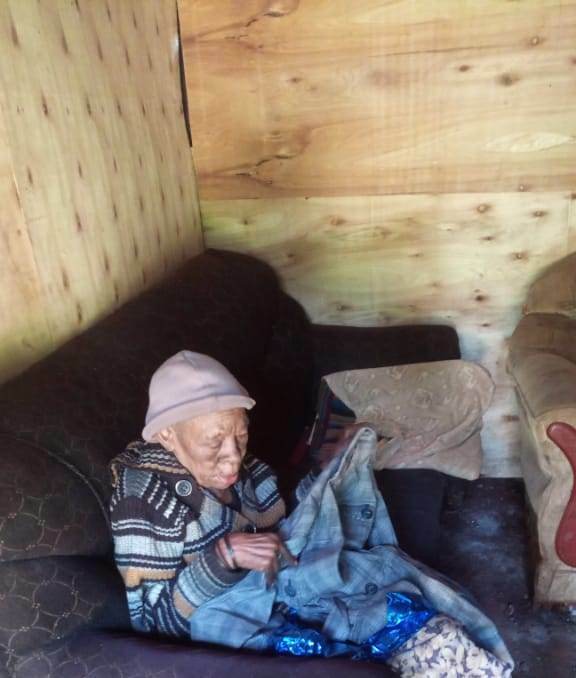 The lady who took martin in is really not that well off so she was finding it hard to take care of him and her kids too, but she has so much love in helping kids and that is why she decided to take him despite her financial issues. She is really grateful that HFN came through for Martin. Last week also did some monthly shopping for the families also went to Karatina to visit the kids and found the twins the rest are in boarding school so later I went to their school but I was not allowed to see them because they were in class but I left their shopping with their teacher to give it to them after their classes. 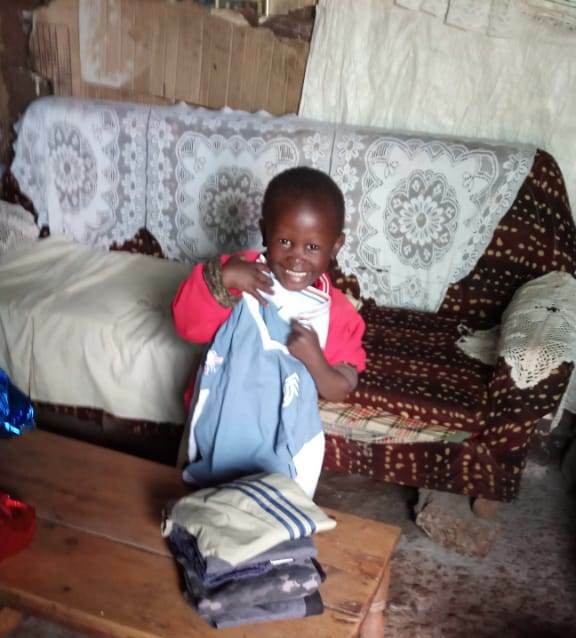 Also went back to Nanyuki to buy some shopping for the Hope and Home kids then later went to a uniform shop to buy uniform for the new kids. 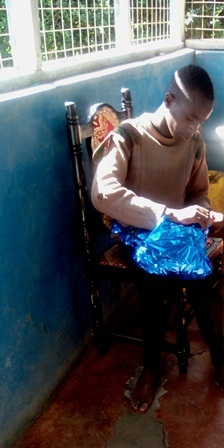 Later I went to deliver the items at the home and the Home mother Susan told me that Martin mugendi who initially lived with his crazy mother in the streets had been taken to a special school where he will be taught how to speak since his crazy was not in a position to teach him how speak while staying in the streets and also Hope and Home doesn’t have a speech therapist so the boy had to be moved to a special school. Kenya is doing great and it’s still raining heavily. 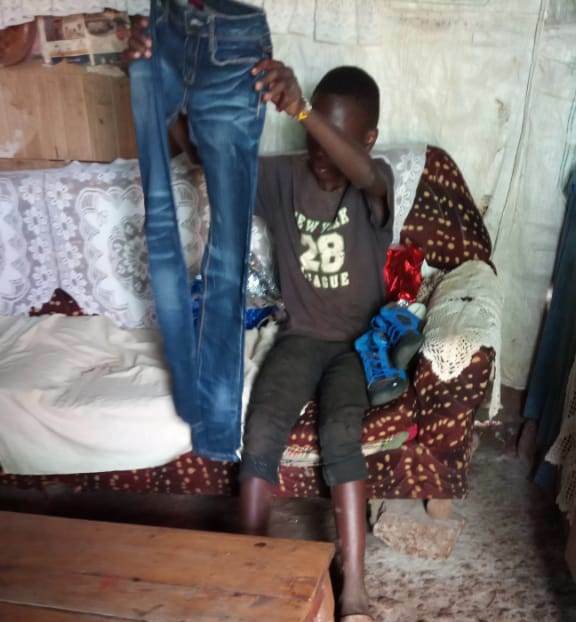 I bought some shopping for the three kids of hope and home and they were very happy. The home mother sends her regards and she is really grateful for your support. I went to Hope and Home to consult with the mother in charge. I discussed with her and she told me that out of the seven kids we were supporting six of them fortunately got adopted and they no longer live at the home, so only Mark is left. She told me that she feels happy when the kids get adopted because that way they are able to get a family who will take care of them better and also adoption creates space for other homeless kids to come in, like now there are already two new kids who were brought in to the home and I was thinking maybe we could absorb them in our programme to replace the six who have gone. We are doing great though it’s really hot and dusty here. I finished the second last sustainability project and it went well. 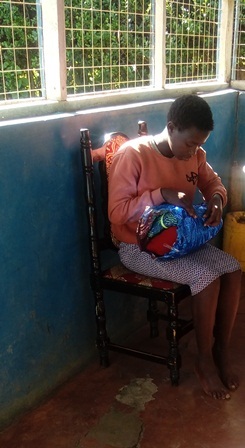 Mary wairimu is very old now so she could not make to come with us to town to buy the necessary materials needed for the shop, so her grandson whose name is George will be the one helping her to run the business since he is not employed and so he is the one who accompanied me to town. We went to a timber yard and bought some wood for building the shop then we hired a donkey cart which transported the timber to their home. 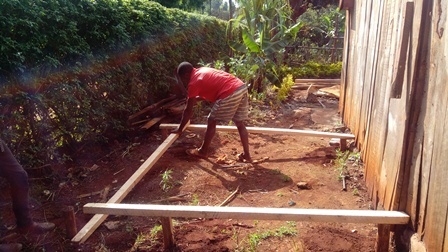 Then immediately we got there we unloaded the donkey cart and George started building immediately and I was able to take some photos. The shop took a few days before it was complete then immediately after it was done George accompanied me to town to a wholesale shop where we bought bought items in wholesale but George will be selling them in retail thus making profit. She was really grateful and she sends her regards to you. 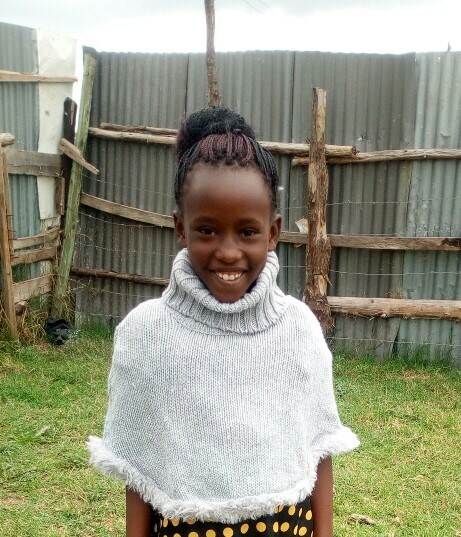 The next sustainability project is for Mary Wairimu who wanted to build a small shop at her home and sell items like sugar, rice, soap in retail. I have already started on it it will be complete in the next days. 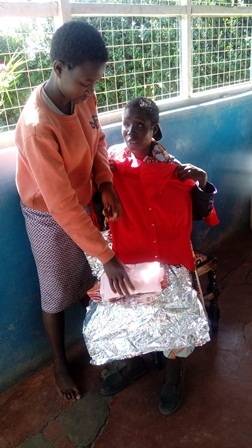 Then we will remain with one more sustainability project for Maryann which is the chicken project. 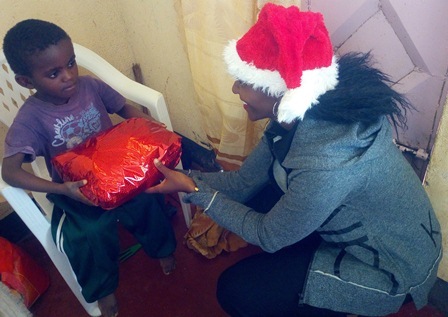 The past few days I have been doing some Christmas shopping for the Karatina kids and for the Hope and Home kids. 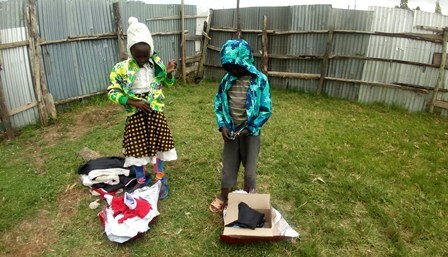 For the Hope and Home Kids I bought them clothes then wrapped them and took them to the Home but unfortunately only one of the seven kids was around. 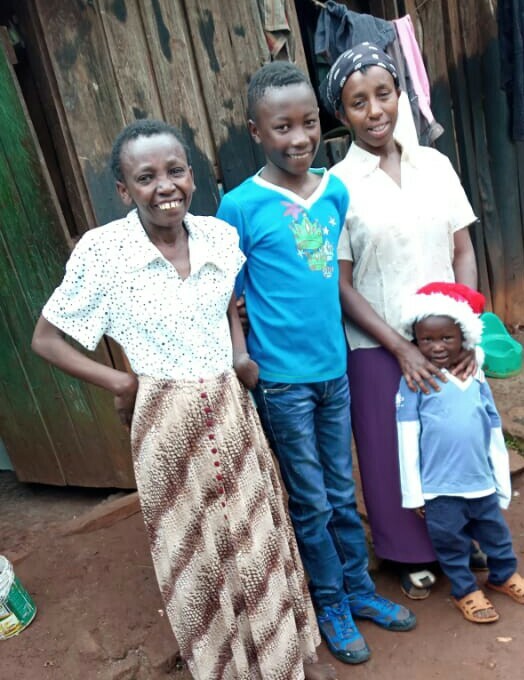 The home mother Susan told me that they usually go to their close relatives during Christmas and come back after the holidays. So I left the gifts with her then when they come back I’ll go and take photos of them in their new clothes. For the Karatina kids I bought them school bags and they were really happy. 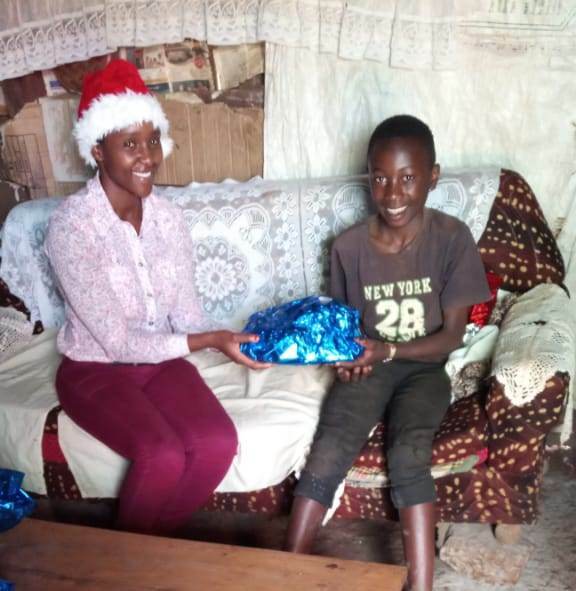 Merry Christmas and a Happy New Year from Kenya. Yesterday I visited the Hope and Hope Kindergarten kids.It was their closing day and they were really happy running around looking forward to the long holiday. Talked to their teachers and they told me they are doing well in class. Last week the Karatina kids were on midterm and so I went to the Children’s home picked them and took them for their school shopping. They also accompanied me to the market and they helped me to buy some fruits for them.